ScanSnap on Sierra - Your Experience? >> ScanSnap on Sierra – Your Experience? The latest Mac operating system, macOS 10.12 Sierra, is out on September 20. How does the Fujitsu ScanSnap work with it? Are there any ScanSnap Sierra issues? Whenever a new Mac OS is released there are often a few bumps here and there, but this time there are some warnings from Fujitsu. Update 10/06/2016: Fujitsu has released a fix for current-model ScanSnap scanners that fixes new PDF files being created on macOS Sierra. >Problems regarding the compatibility with macOS Sierra have been found. >Please do not use ScanSnap applications on macOS Sierra. Also, before upgrading your OS to macOS Sierra, please be sure to make a backup copy of the PDF files created by using ScanSnap applications. >We will provide you the solution to these issues as soon as available. That doesn’t sound good! From reading the notice, it seems some pages may become blank when scanning on Sierra. I posted the notice on Twitter and received a number of messages saying that everything is working fine for them. @documentsnap @KatieFloyd Scansnap has been working fine for me for at least four weeks. So it seems that some people have issues and others don’t. I am guessing that depends on how they’re scanning and what they’re scanning into. Update 10/06/2016: Fujitsu has released a fix for ScanSnap Manager and CardMinder for the following models: iX500, iX100, SV600, S1300i, S1100i. To download the fix, run Online Update by going to Help > Online Update after right-clicking on the ScanSnap Dock icon. The fix for S1500, S1500M, S1300, and S1100 is expected by October 17th. So if you have older PDFs that are having issues that were were created after Sierra but before these fixes were applied, they’re still working on a fix. Read this Fujitsu notice for more on the timeline and the fixes. Fujitsu has also created a pretty comprehensive FAQ showing what exactly is impacted. As you can read in the September 27 update below, it is pretty limited. Update 09/27/2016: Fujitsu has updated their ScanSnap Community alert with more specific functionality to avoid and a timeline for a fix. No image data will be lost nor any blank pages produced when content that has been scanned in the A4 (8.3 in. x 11.7 in. ), Letter (8.5 in. x 11 in. ), Legal (8.5 in. x 14 in. ), or smaller sizes is saved. I guess this explains why so many DocumentSnap readers are reporting no issues – it seems as if it’s a very limited set of circumstances that cause the issue. Read the entire Fujitsu article for more. Older models are not yet supported. See the Fujitsu fix notice for manual instruction links if Online Update doesn’t work. Have you done the macOS Sierra upgrade? How is your ScanSnap and related software working? I’ve been trying to reinstall ScanSnap Manager and my i500 on a brand new iMac Pro running the latest edition of High Sierra (10.13.3) — for the past two hours. I cannot for the life of me get the ScanSnap Manager Icon to turn blue. The same software and scanner ran flawlessly on my Mac Pro (late 2013) with the same release of High Sierra. I Have been using the scan snap s500M for ever and it is a powerhouse for processing. All of a sudden on High sierra I have been getting all the workings. I dug deeper – Fujitsu has stopped all support for my scanner and it blows my mind that a scanner that still works and is fast and costs over $500 is dicontinued. I’m going to try the trial version of Scan Tango to see if that allows it to still work for me. I do not have the same day to day need to use my scaner that I did ( altough I would like to ). I have had in the field work arounds getting documents into Evernote. Check on the Fujitsu site to see if you have the latest software and if your scanner is supported. I’m in the exact same boat. New imac, can’t connect no matter what I try. Did you ever find a solution? it sounds incredible, but the Fujitsu Scansnap S300M does work on OS X 10.13 High Sierra! I was very angry because the scanner did not work under OS X 10.12 Sierra, as the Scansnap Manager won’t start anymore once Sierra was installed. Now I upgraded to High Sierra and I was very surprised to learn that everything (!) works as before! Even the scan directly to Devonthink Pro Office and does work! Fujitsu had discontinued the support for that scanner by OS X El Capitan, yet the last OS X version to be supported was Yosemite (10.10). There are no plans to add support for future releases of OS X, so I am very glad to see that it just works fine on High Sierra. The Scansnap Manager version I used for this test is 2.2 L 11 on OS X High Sierra 10.13., connected via USB 2.0 to my Macbook Pro 9,1 (Mid 2012, 15 inch). (This Macbook Pro has USB 3.0 on board, actually, but the Scanner does not and the cable does not either). It looks like Sierra 10.12.5 broke my installation of ScanSnap Manager. I’m running v3.2L91 and cannot find a setting of ScanSnap Manager which will successfully produce a file. Plenty of free space on the drive, no problem with permissions on the destination folder (that I can tell, anyway), and to the best of my knowledge, the only thing I’ve done is update to 10.12.5. Anybody have similar experiences, or am I an outlier? Scansnap v3.2L91, for OS Sierra 10.12.5 has also rendered my Scansnap s1300 DOA. Wonderful blinking blue light and no joy. I ended up reinstalling Sierra and the scanner software works again. No clue why it stopped, so YMMV. For anyone using an S1500 on a mac, you can install the driver for the S1300i and it works! OK, so I installed it on a machine that didn’t have a problem, but it’s true that the S1300i software works with the S1500M. Yay! What a great discovery! I’m getting exactly the same problem since updating to 10.12.5. Scan snap S1500 running SS Manager 3.2 L80. Maybe someone here knows what the problem is, so going to take a chance and ask.. this is nothing to do with Sierra, because it did the same before Sierra. MacBook Pro/ and ix500. When connected with a USB it sometimes works, but more often than not, I get the flashing orange light. When connected (supposedly) via network, same thing happens. If I shut down, unplug, say lots of 4 letter words it then works wirelessly, but try to do the same 10 hours later, it’s the same malfunction. Anyone here know what’s going on? I have other wired older scan snaps so resort to using them, but this has to be fixed once and for all. I just tested my S500M with Sierra on a test drive (I couldn’t risk it on the main drive) and it scans fine. Question: I have a ScanSnap s510M that’s worked well for years. I just barely upgraded to macOS Sierra and the Scansnap manager program won’t pull up to scan documents. Fujitsu says that they’re no longer offer support for the s510M. Any suggestions? I’d rather not have to but a new scanner if I don’t have to. Thanks! Using Scan-snap S300m with Paperless (by Mariner Software) crashes like crazy with Sierra OS. I am assuming this is because of Fujitsu’s not wanting to update any software for my trusty S300m. I have the latest version of Paperless, too. It was updated for Sierra. I dont want to buy another scanner since my is running just fine. Thoughts? I can confirm that behaviour. I found out yesterday by accident, while merging scanned OCR-PDF. Unfortunately this bug seems not to be addressed yet. I have tried to merge older scanned files, so I am not sure if this is due to the pre-Sierra scans. Hi Jakub, thanks for the reply. It’s good to know I’m not the only one who has noticed this bug. I can confirm that this problem also affects new scans made in Sierra with the updated ScanSnap Manager software. My affected PDFs were scanned in both 10.12.1 and 10.12.2. I also tried scanning without OCR and then OCRing separately using ABBYY FineReader for ScanSnap and those PDFs also had their OCR layer destroyed after editing with Preview. A PDF scanned and OCR’d with Office Lens for iPhone was unaffected when I tested that. Waited to download Sierra until the update from Fujitsu update was ready, my iX500 works great, no problems. So Jennifer, you took Sierra’s latest version and did the scansnap patch? I upgraded to MacOS, then installed the latest update from Fujitsu. Haven’t had any issues at all. Thanks for letting us know about the original problems! It looks as if both sides had work to do in resolving the issue. Thanks for the heads up, Barry! I upgraded to Sierra a couple of days ago and my ScanSnap S1300i (using ScanSnap Manager Version 6.3 L60 seems to work fine. I have ScanSnap opening the PDF files in PDF Expert 2.0. I have also scanned photos into the Photo’s app with no issues. ScanSnap Receipt has display issues on Sierra. Cells with drop down menus don’t show content. Any fix in sight? I’m running Sierra with my ScanSnap i11300, running ScanSnap Manager v3.2.71 without any problems (as far as I can tell). But thanks for this post! I upgraded to Sierra a couple of days ago and my old ‘unsupported’ ScanSnap S510M seems to work fine. I created a few PDF files which survived editing in PDFPenPro 7. Am using ScanSnap Manager Version 3.2 L71. No problems with a S1500 using Scan to Evernote. I use Accountedge and PDFPenPro and I am having issues. 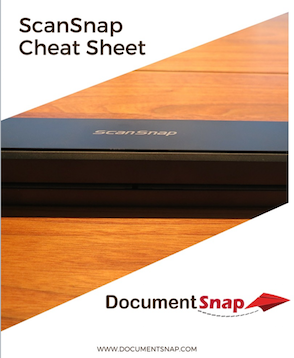 If I scan a document with ScanSnap into PDFPenPro. it displays fine. But when trying to attach a PDF to an invoice or other document in AccountEdge, AccountEdge will not recognize it. And if i force OCR in PDFPenPro, I will get a blank PDF except for the Stamps such as “Paid” or “Copy” that I can add to the PDF as I wish. Fortunately I only scan A4 or less and use Folder output, so it looks like I’m OK with my S1300i. No problem using an old s300m , using the older scansnap software and scanning to desktop, OCRing with PDFPen Pro. Can you tell me what older scansnap software you are using (for which OS – Lion, Maverick, etc) because I can’t get my S300M to work and I really don’t want to buy another scanner when this one works just fine. I’ve been scanning through ScanSnap Quick Menu for a couple of weeks without this problem . Workflow is either “Scan to Folder” or “Scan to DevonThink Pro”. No blank pages and the OCR appears to be working correctly. As before with Mavericks and El Capitan I managed to get my old 510M to work. I downloaded ScanSnap_V22L11.dmg and then ScanSnap_V22L16.dmg. Ran both installers. I then dropped Finereader I got from an old install and dropped it into the programs folder. Tweaked and set my preferences in both finereader and Fujitsu Scan Snap Manager. And I scanned successfully to my specific file folder. Apparently it can be done. Thanks for the post, Brooks. I spoke to someone in Fujitsu’s tech support team earlier today. He confirmed that there is a compatibility issue that impacts macOS Sierra and it sounds like their engineering team are working on a fix. He wasn’t able to provide even an approximate ETA for the fix. I wasn’t able to get much more information on the issue. He mentioned something about image data being lost if an OCR’d PDF is edited in any way (at least that’s what I understood). It’s not clear if there are issues if the OCR feature is turn off. He advised me to keep any paper I scan if I use the ScanSnap software under macOS Sierra…just to be on the safe side. In the short-term, my plan is to scan to my iPhone or iPad and then to transfer the files to my Mac via Dropbox. It’s not ideal, but it will do the job until Fujitsu addresses this issue. Can report same as Karen. Problem occurs when reading pdf scans with Apple’s Preview. Have no probs with other pdf viewers. I don’t think the problem has to do with ABBY’s engine. I have run scans with their ISIS software without experiencing the blank page syndrome. That said, I am not upgrading my work machine until I get word from Fujitsu that they have an upgrade that is Sierra compatible. I’ve been using ScanSnap quite happily under the various betas of macOS Sierra. I did have one document which created a blank page when viewed within Preview (and crashed macOS), but it displayed OK with other PDF viewers so seems to be as much a Preview bug as a ScanSnap one. Interesting re: other applications. Thanks Karen! I wonder if it is something to do with ScanSnap Manager or with ABBYY’s OCR.